The most unique part of a wedding is always going to be the bride. The bride and what she’s wearing sets the tone for the entire affair. No matter how creative the decor is or how pretty the flowers are, all guests will be excited and waiting with bated breath just to see the bride, in all her glory, walking down the aisle. That’s why it’s VERY important for a bride to choose an ensemble that is unique to HER personal style and not just what’s in style at the time. Some brides are classic and others are modern – why not be both!? The best way to do that is by accessorizing your look. Here are some examples of how to keep it classic while adding a touch of modernity. It seems that lately many brides have been debating to veil or not to veil. The fact is, the difference between you and your guests IS your veil…that’s what makes you the bride! So whether you’re debating, do yourself a favor and just get one. Not only will you be pleasing your mother, but you’ll be happy you got to wear a veil for at least one moment of your life. Besides, you’ll have tons of fun using it in your wedding photos :) However, if you’re not a big fan of the veil (especially those Cathedral veils, as pretty as they are…they’re hard to dance with!) a great idea would be to wear a veil for the ceremony and then wear a fab headpiece for the reception. That way you’d have 2 different looks (without having to fork out the money for two different dresses). Nowadays there’s a plethora of mixed race couples. Love is found within different people, colors and countries. The hard part is balancing the needs of what your traditional family wants you to wear and what YOU want to wear. It’s a good thing Something Treasured can solve that problem for you! From our Something Exotic collection, we bring you various sashes that are made for the culturally aware bride. Inspired by brides from all over the world, these belts have unique touches from different nations. This is perfect for that modern bride who wants to keep her sense of culture and tradition. Your white wedding gown would satisfy your American tradition and your belt would be an accessory that would satisfy the traditions of your nationality (not to mention a unique element to your overall look that ultimately makes you look like a modern bride!) So really, everybody wins on that one! We’ve all seen the oh-so-popular blush wedding gowns. Many designers like Vera Wang, Monique Lhuillier, Lazaro and Watters have featured blush dresses in their recent collections. While some brides are all about this new trend, others aren’t sure they want to take that much of a risk with their bridal look. To compromise…how about wearing your traditional white/ivory dress with a blush belt to add a touch of color? If you’re really bold, you could even match your bridesmaid’s dresses by wearing a non-traditional colored belt. BUT, if you’re not THAT bold, you could always make your bridesmaids wear all the color. You’re the bride, right?? What you say, goes! It’s your wedding…get glam! (Then again, if you’re Beyonce or Jennifer Lopez you’re glam all the time; but both have been married so I doubt they’re reading this.) My point is, frost yourself with some serious crystals. Yes, crystals are oh-so traditional, but that doesn’t mean you can’t rock a modern look wearing them. The options are endless and blinged out belts accommodate brides and bridesmaids of different styles, and more importantly, the ones that come in all shapes and sizes! A crystal belt not only accentuates your waist but it dresses up all types of gowns. Don’t be afraid to shine! Just remember when you’re shopping for your bridal look – it’s all about YOU and your style. Yes, it’s hard to satisfy your entire bridal party and it’s especially hard to satisfy your mother and/or mother-in-law since you’re from different generations, but don’t fret – it can be done! Accessories can be your friend on both ends of the spectrum.Just remember, you don’t want to look back in 10 years and think to yourself “I looked SO 2014.” So I say, to the modern brides, don’t be afraid to have a bit of tradition in your look. And to the traditional brides, I say, live a little! 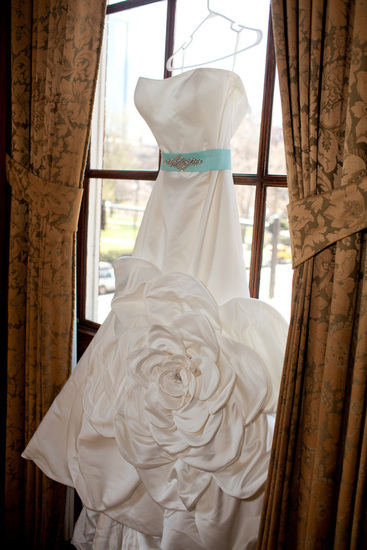 Bridal accessories where you can find your something old, new, borrowed and blue - we customize to fit your style! Based in Walnut Creek, CA but have production teams in the bay area and Los Angeles.